Improving how mental health patients perceive themselves could be critical in treating them, according to a study from the University of Waterloo. Sleep disruptions are one of the most commonly reported complaints among menopausal women. A new study of middle-aged women found that sleep problems vary across the stages of menopause, yet are consistently correlated with hot flashes and depression. People with Multiple Sclerosis -- MS -- who feel stigmatized are more likely to suffer from depression, according to researchers, who add that having a support system of friends and family and a sense of autonomy may help reduce the harmful effects of stigma. Schizophrenia may be related to neurodevelopment changes, including brain's inability to create the appropriate vascular system, according to new study resulted from a partnership between the D'Or Institute for Research and Education, the University of Chile and the Federal University of Rio de Janeiro. An international team of researchers led by a Case Western Reserve University School of Medicine scientist has uncovered a novel mechanism in which a protein--neuregulin 3--controls how key neurotransmitters are released in the brain during schizophrenia. Women face several options when it comes to birth control, so potential side effects often factor into their decision. Depression is a common concern for many women, but a new study by researchers at The Ohio State University Wexner Medical Center is putting patients at ease. It found there's no evidence to support a link between hormonal birth control and depression. 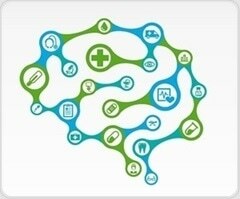 Researchers at Massachusetts General Hospital and Harvard Medical School have developed a new method to extract valuable symptom information from doctors' notes, allowing them to capture the complexity of psychiatric disorders that is missed by traditional sources of clinical data. Fresh insights into changes in the brain linked to depression could pave the way for new therapies. Patients with chronic heart failure face related problems, such as depression and fatigue, that could be relieved by an expanded model of care, according to a recently published study led by a researcher from the University of Colorado School of Medicine. Individuals with bipolar disorder have the lowest risk of rehospitalization if treated with lithium, according to a study from Karolinska Institutet in Sweden published in JAMA Psychiatry. Long-acting injections of antipsychotics were also effective, reducing the risk of rehospitalization by 30 percent compared with their oral counterparts. According to the American Academy of Paediatrics’ new guidelines released this week, all adolescents should undergo a screening for depression annually. The guidelines is published titled, “Guidelines for Adolescent Depression in Primary Care (GLAD-PC): Part I. Practice Preparation, Identification, Assessment, and Initial Management,” by the GLAD-PC Steering group. Researchers at the MRC Centre for Neuropsychiatric Genetics and Genomics at Cardiff University have discovered 50 new gene regions that increase the risk of developing schizophrenia. Police officers are often called to situations that require a quick decision: fire a shot and risk harming, or killing, innocent bystanders; don't fire and there's the potential for being killed in the line of duty. PND is well-known to have an adverse effect on mothers' relationships with their children. This has a subsequent impact on child development from early infancy to adolescence and influences emotional, cognitive, and physical development in children. Agoraphobia is generally known as a fear of open spaces, but is a complex condition that may involve the fear of visiting certain public areas like shopping centers, fear of specific situations like public transit, or a fear of leaving home altogether. Exposure to the feared stimulus usually results in anxiety or a panic attack. Symptoms of a panic attack include rapid heartbeat, hyperventilation, sweating, and nausea. "Is there a doctor on board?" Hearing this call go out at 36,000 feet can be anxiety-provoking for any physician and may trigger a dilemma of whether to respond, or wait to see if anyone else will offer their expertise. Intermittent explosive disorder (IED) features the failure to resist a drive or impulse. Both genetic and environmental factors lead to IED, which may be characterized as a form of bipolar disorder. You're about to turn 60, and you're fretting. Your mother has had Alzheimer's disease since the age of 65. At what age will the disease strike you? A Canadian study published in JAMA Neurology shows that the closer a person gets to the age at which their parent exhibited the first signs of Alzheimer's, the more likely they are to have amyloid plaques, the cause of the cognitive decline associated with the disease, in their brain. Alcohol is popular around the world for recreational purposes, but excessive drinking can lead to alcoholism, alcohol misuse and alcohol dependence, which can all result in negative health and social implications. Scientific interest reawakened after a national commission to investigate the health of human beings who had undergone such surgeries reported that no deficits in psychological health could be traced to the procedure itself, and on the other hand, it had an efficacy of over 50% (which was impressive compared to the general unreliability of most therapies then available).